Our Electronics, Physics and IT (EPIT) team has a breadth of industry experience in assisting local and international clients to protect their intellectual property (IP). The team is diverse and is comprised of patent attorneys with qualifications in biomedical engineering, electrical engineering, geomatics and computer science. Whether you require assistance with drafting, protecting or exploiting developments, our team will work with you to ensure your IP strategy is in line with your business objectives. To stay at the forefront of changes in this continuously evolving industry, the team is active in industry groups in both Australia and overseas, including Engineers Australia, The Australian Electrical and Electronic Manufacturers’ Association, Victorian Society for Computers & the Law, and The Institute of Electrical and Electronics Engineers. Saskia is the firm’s Electronics, Physics and IT (EPIT) team leader and has over 15 years’ experience in intellectual property (IP). 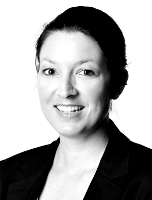 Saskia has extensive experience in preparing patent specifications, multi-jurisdictional patent prosecution and providing patentability and FTO opinions across a range of technologies including electronic devices, renewable energy, telecommunications, microelectromechanical structures, spectroscopic equipment, analytical instrumentation, optical security devices, signal processing, medical devices, software and FinTech.